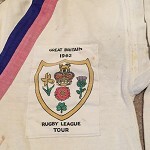 A 1962 Great Britain Rugby League Jersey. 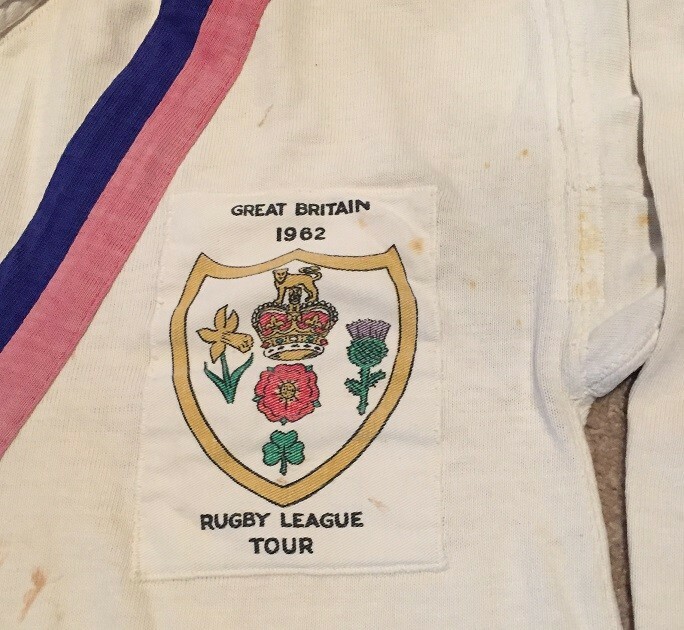 Cotton jersey with blue and red chevrons and "Great Britain 1962" & "Rugby League tour" GB logo sewn on patch. 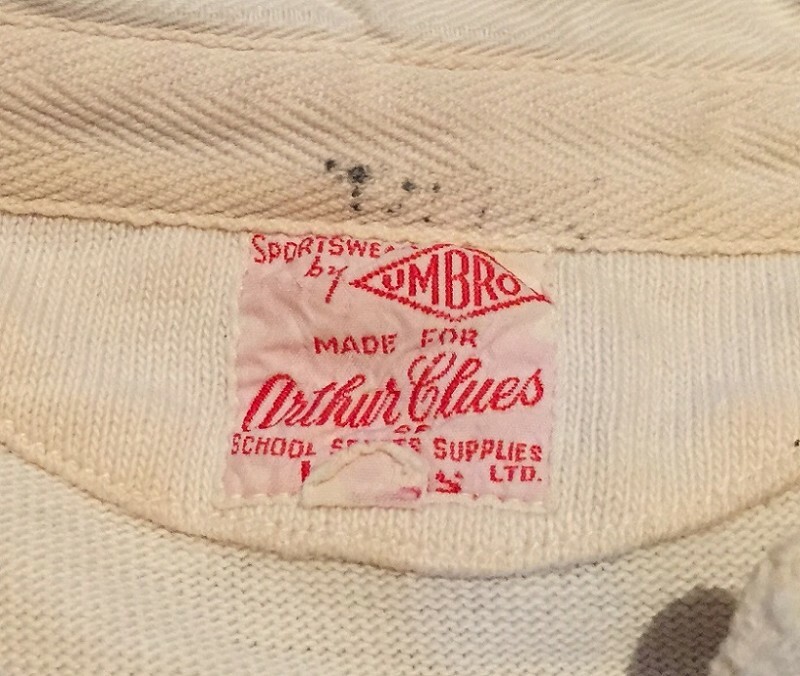 Bears label; "Sportswear by Umbro. 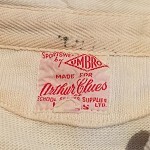 Made for Arthur Clues School Sports Suppliers Ltd, Leeds" . It is a size 44. 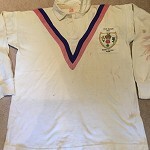 A few small stains to front. Otherwise in very good condition. 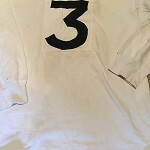 # 3 to rear in black material on white patch. 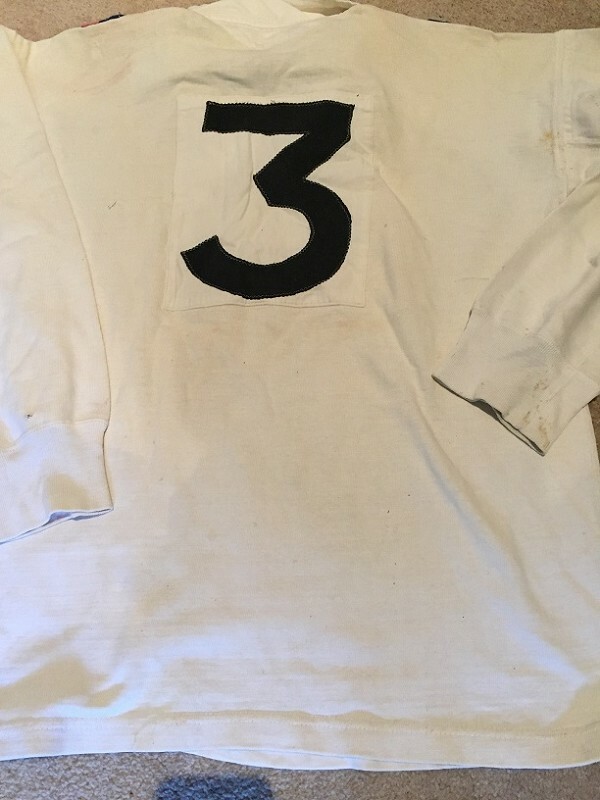 This is # 3 as worn by Billy Boston on the tour of Australia and New Zealand. 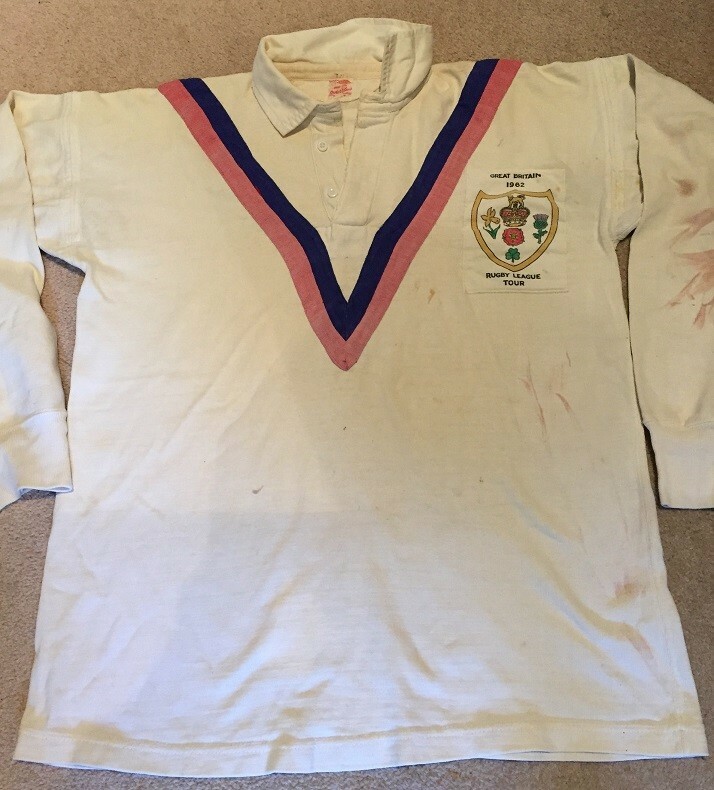 He’s one of the UK greats of all time and from the tour is regarded as the best Lions side to ever visit Australia. Boston is listed as # 2nd greatest UK player of all time in a few polls. 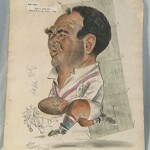 Boston scored an incredible 571 tries in 564 senior appearances. 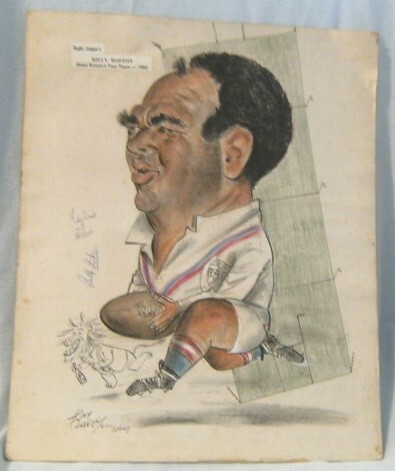 On Lions tours, he scored 38 tries on the 1953 Lions tour to Aus./NZ and 19 tries in 13 games played in Australia and New Zealand during the 1962 tour.